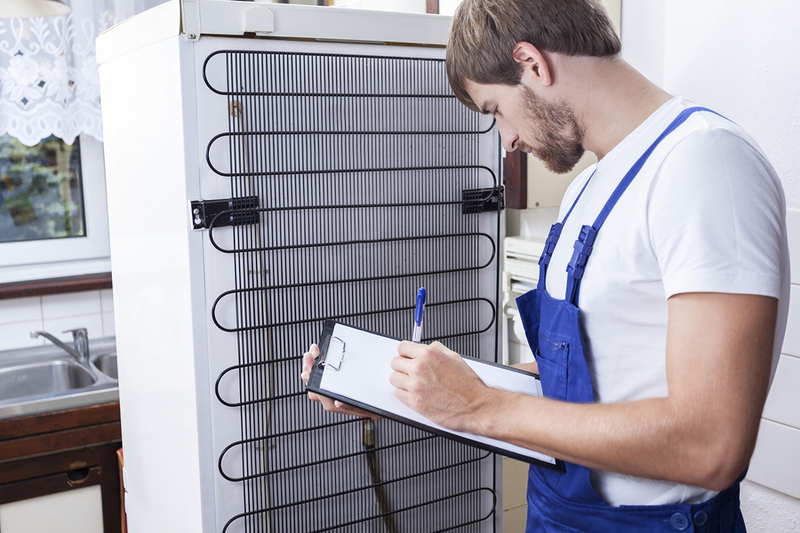 For over 30 years, Appliance Repair Experts has been the place to go when someone is in need of refrigerator parts. We know that when your refrigerator breaks down it is costly. Not necessarily for the repairs or parts, but from the loss of food and the need to go out to eat until the repair is completed. With this in mind, and we always try to place our customers’ needs first, we carry a full range of common replacement parts for all makes and models of refrigerators. We want you to be able to complete your repair in a timely manner so that you do not have to endure the expenses of a broken fridge. Our knowledgeable and friendly staff will help you diagnose and find the parts you need to make a quick repair. If you are not sure what you need, or are lacking time, you can use our parts finder request form and our staff will find the parts and contact you with the information. This service is always available on our website. Our large and conveniently located Las Vegas warehouse is open Monday through Saturday from 8:00 a.m. to 5:00 p.m. These extended hours give our customers the flexibility they need to complete a repair. If you are unable to complete a repair on your refrigerator, we encourage you to use our professional service technicians. Our techs can often make same-day service calls and are available for repairs during the same times our warehouse is open. We also suggest that before you begin to do replacement work on your unit you check the plug and the breaker to your refrigerator. Many times the problem with the unit is as simple as a blown breaker or a bad plug. By checking this first, you can save yourself a lot of time and money. Only clean the interior of your refrigerator with a cleanser that is safe to be around foods. Emptying your fridge before cleaning will allow you to shut down the unit while you are cleaning it and keep the doors open without wasting energy. For stubborn stains, use a mixture of baking soda lemon juice and water to clean. To clean the outside of the unit use a non-abrasive cleaner. Wipe the dust and grime build up off of the coils in the back of the fridge periodically to keep unit working efficiently. Clean drain pin under the unit and make sure that the hose is not clogged. Always wipe down the vents in front to keep air flow to the motor. Wipe down seals of the unit with a non-abrasive cleaner. Remove shelves and drawers periodically and clean and sanitize them. Check your seal periodically to make sure that it is tight and keeping the cool air inside. If air can get out – germs can get in. Keeping your refrigerator clean significantly reduces the chance for food-borne illnesses and will keep foods fresher for a longer time. Always take the time to rotate foods to make sure that what is in your refrigerator is always good.